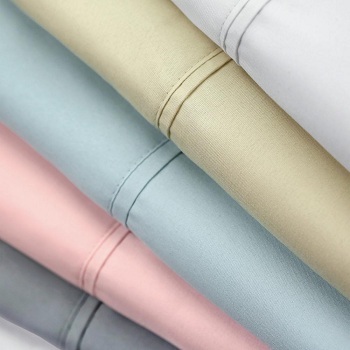 Malouf Fine Linens’100% brushed microfiber sheets are the perfect solution for luxurious and affordable bedding. The micro-yarn structure provides breathability, wrinkle resistance and a soft hand. The microfibers are 100 times thinner than a strand of hair making the weave impenetrable to allergens and dust mites. Microfiber fabric is renowned for its durability and longevity. Fitted sheets accommodate mattress depths from 6” to 18”. The ultra-thick ¾” fitted sheet elastic goes all the way around the mattress, guaranteeing a secure fit.